Cinco de Mayo commemorates the battle of Puebla where the Mexican army defeated the French. It is barely celebrated in Mexico and I hate it; I hate it with a passion and I get irrationally angry when I see what a huge deal it is made out to be here in the U.S. I am not of Mexican descent; but I have many ties to the country and very strong feeling about it and its history. I teach in a bilingual classroom and every year at least 90% of my students are Mexican or Mexican American (with a few Puerto Ricans, Venezuelans, and Hondurans thrown into the mix), and my teaching assistant is Mexican. Therefore every year since I have started teaching we have a big celebration for September 16th, Mexican Independence Day, which is a HUGE celebration in Mexico proper and enclaves of Mexicans and Mexican Americans here in the United States. We also celebrate any other independence days of my students’ home countries; conveniently enough, many Latin American countries celebrate their independence during the same week in September, which is also the first week of Hispanic Heritage Month. 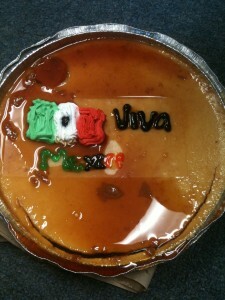 This year we had flan to celebrate Mexican Independence Day. 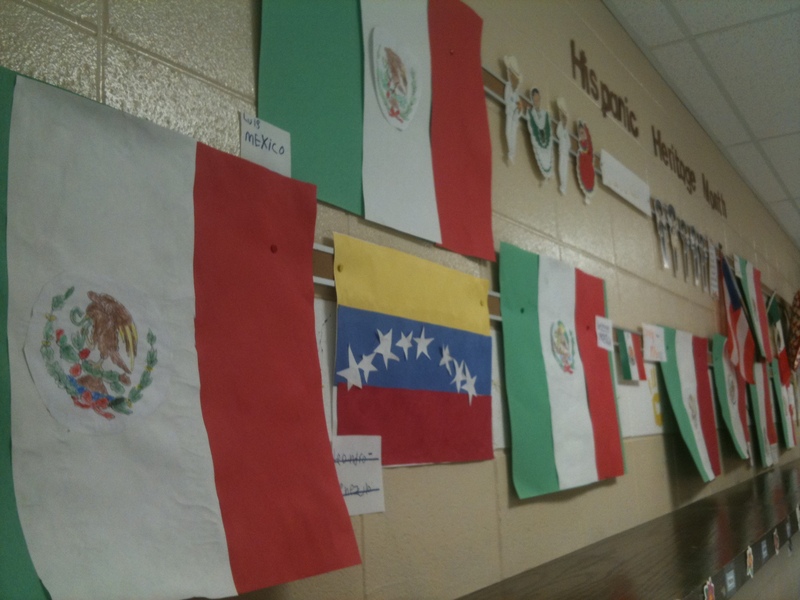 We decorated our hallway for Hispanic Heritage Month. Each child made the flag of his or her heritage country. We even made a Peruvian flag for the classroom guinea pigs. Some people in the school do not like that we celebrate so much during this time, or that we focus on Mexico. Other people harangue the bilingual program in general all year and think we should only be speaking in English. They want to Americanize the students as much as possible. All this brings me to why I hate Cinco de Mayo. All of a sudden, come May 5th, it’s cool to speak Spanish. It’s cool to make Mexican flags and bring in Mexican food to the classroom. Outside of school, the same morning radio programs who are bitching about people not being able to speak English on May 4th are encouraging callers to speak Spanish on May 5th. The same Facebook friends who post on their feeds about sending people back to Mexico the other 364 days of the year are having huge parties on May 5th. CINCO DE MAYO IS BARELY EVEN CELEBRATED IN MEXICO. So basically, it’s a holiday when Americans can drink cerveza and eat tacos without actually acknowledging anything too Mexican. And I know, come May 6th, the old attitudes will return. My students will again be frowned upon for celebrating their heritage and their language.